TEEN NO MORE - Batang Lakwatsero just turned 20 last Saturday, and to celebrate this two decades of existence, he organized a 2D1N trip to Zambales. 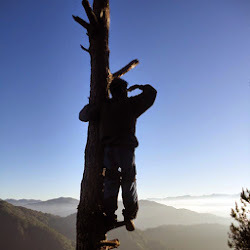 This trip included three of Batang Lakwatsero's favorite destinations - Mountain, Beach and Lighthouse - hence, he calls it "3 in 1 Lakwatsa sa Ikalawang Dekada". It was only last January 16, 2012 when I cooked this 2D1N Itinerary. Since I've been wanting to celebrate my 20th birthday either on a mountain, on a beach or in a lighthouse, I came up with an itinerary that includes all the three. Mt. Pundaquit traverse to Anawangin Cove-Nagsasa Cove-Capones Island in Zambales (thanks to Mam Agnes for suggesting this trip). 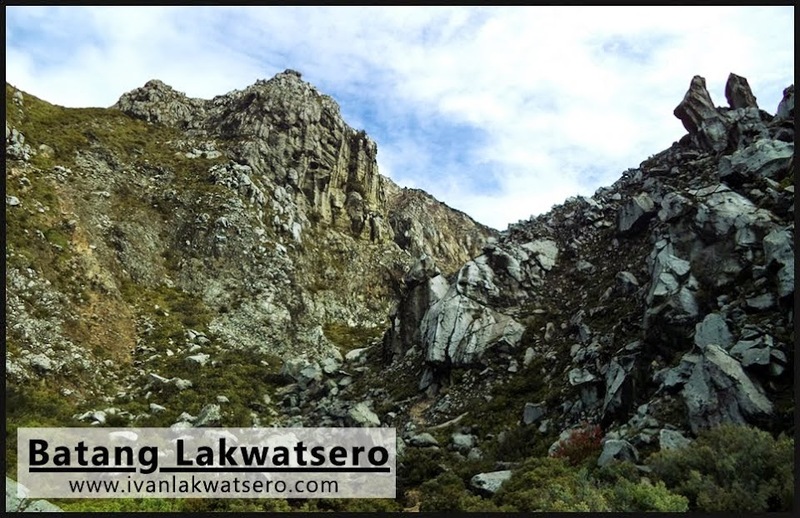 I rushed and completed the itinerary in 3 hours, thanks to Lakwatsero and Pinoy Mountaineer, then I posted an open invite in my facebook page. Seven travelers responded and joined me in this trip. 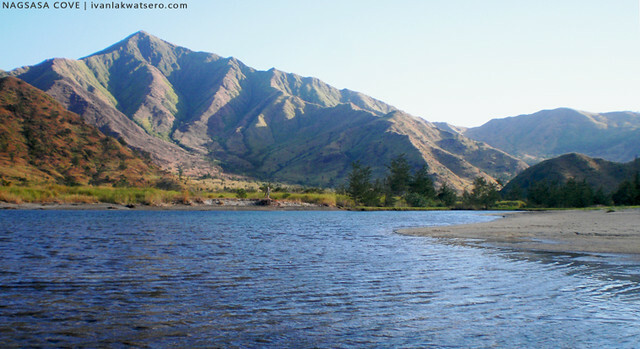 For most tourists who wish to visit the coves of Zambales, hiring a boat in Brgy. Pundaquit is the usual way. But since we're not part of that "most tourists" and we all want a little twist in this trip, we chose the trail of the mountaineers. The trek took 5 hours, it wasn't really that hard compare to my preview climbs but my fellow travelers aren't that used to climbing, in fact two of them are first timers. 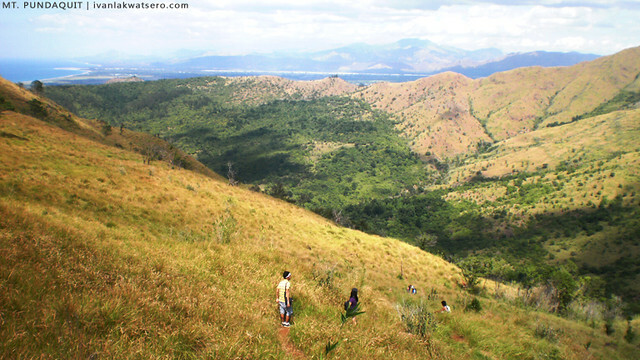 Everyone was tired upon reaching the summit but the awesome view of the whole Anawangin Cove from that spot would make you forget all the hardships of the ascent. 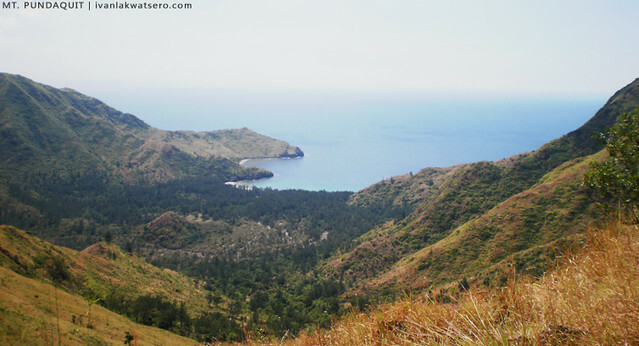 The fast growing popularity of Anawangin Cove has drawn the attention of many local tourists. And just like what I've read online, tourists flocked in Anawangin, tents and hammocks left no more space in the camping area of the cove when we got there. 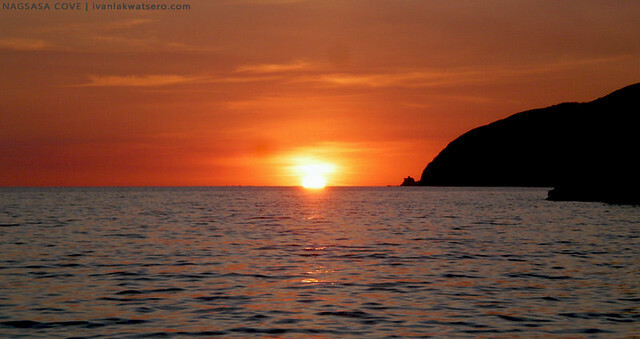 I was already expecting this so I put Nagsasa Cove in our itinerary as our beach destination. 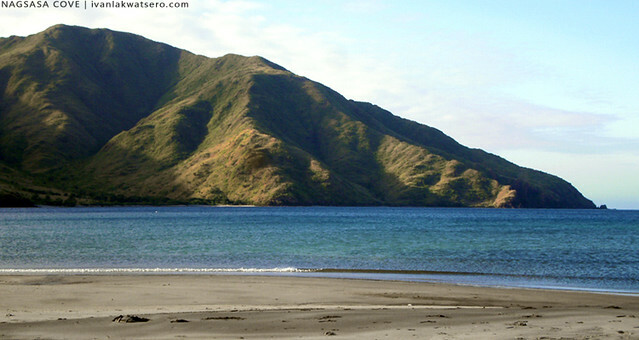 Nagsasa Cove is another less popular cove in Zambales, yet it has a wider beach and for me, has a better mountain backdrop. 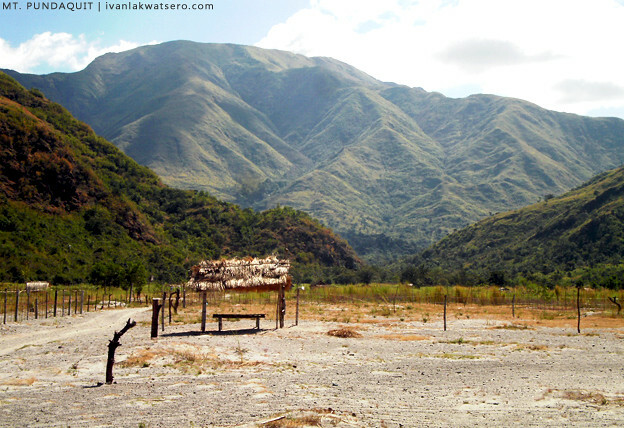 Just like every cove in Zambales, there is no inn or hotel in the place, camping is the only option when staying in Nagsasa. Putting up the tent, tying the hammocks, starting up a fire for the cooking, eating together and stargazing while laying on the sand are a few of the best experiences that this cove can offer. To complete our Zambales weekend/birthday getaway, we headed to Capones Island to view up close the old Spanish Era Lighthouse, Faro de Punta Capones. 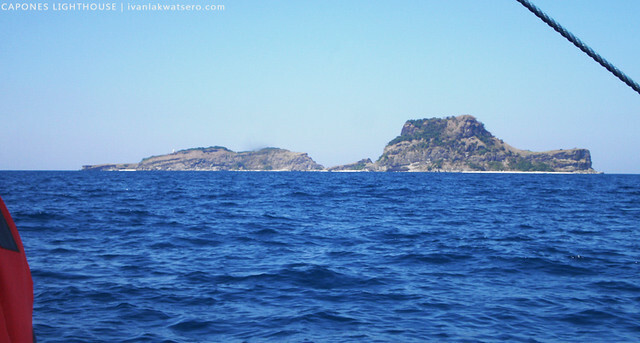 Getting into this island is not an easy task, either you will swim or you will trek, depending on where the boat will dock.. We chose swim and indeed we swam to the rocky coast while being beaten by strong currents of the sea. 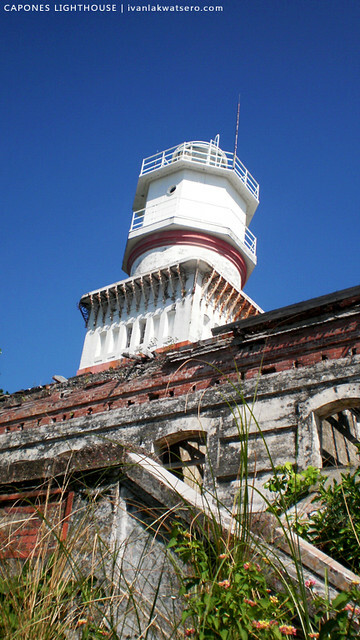 The lighthouse, though its lantern is still functional and in good condition, its keeper's house lies in ruins. 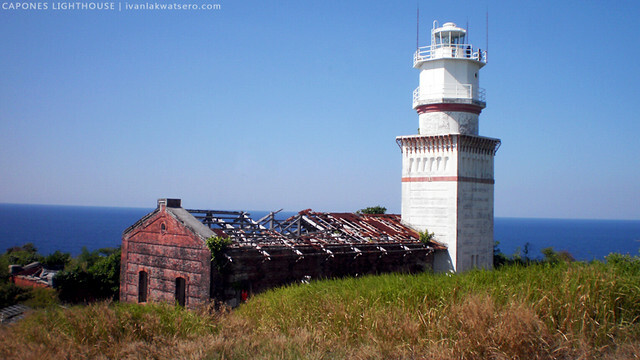 Capones Lighthouse has a mystical charm that will surely put a smile to tourists who love antiquity and heritage. Overall, my weekend birthday trip to Mt. Pundaquit-Nagsasa-Capones is the best, most unforgettable birthday trip to date. Thanks to all my friends who joined me in this trip. Batang Lakwatsero recommends the service of Mang Mike, he's fair and will give the best customer service. You may reach him in the following numbers: 09283405136 and/or 09277801312. Hi Batang Lakwatsero. We're planning to do DIY trip soon to this itinerary. 2D 1N is enough right? I wish you a happy birthday. See you again soon. Happy birthday! I just celebrated mine too this weekend in Dumaguete. Cheers! @Paula O, I'll pm you for the details of our trip..
@chino, salamat. hehe kitakits sa sunod na lakwatsa. Awts. haha. an sakit. hahaha. Wow nice trip! di ko alam ang open trip na toh ah... ahihi! Kelan ang bday mo tapos na ba? Happy Birthday! thanks.. last sat pa ako nagbertday. hndi mo ata nabasa yung invite ko,, sa FB ko lang yun pinost at sa twitter. I am now a fan on your FB - ayan di ko na ma-mimiss announcement mo. haha! please send me an email so i can post there the complete IT and budget of our trip. I'm so thankful na nakasama ako dyan sa bonggang bonggang birthday bash mo!! WOW! I am glad I discovered your wonderful post regarding those places you traveled. Hopefully I will travel also in those places. Thank you.